Georgia has fought for the rights of excluded populations, particularly women and children. After graduating from the University of California with a BA in Sociology, she spent the years from 1967-1972 teaching English in the Peace Corps in Iran and in the Boston Public Schools. In 1975 she received an MA in Special Education from Antioch University and began her work as a child nutrition advocate. She went on to co-found the Boston Food Bank with Kip Tiernan in 1978 where she retired from the Board of Directors in 2002. From 1985 through 1992 Georgia worked as an advocate for Medicare and Medicaid patients for the Visiting Nurse Associations. Since 1993 she has taught critical thinking at Mass Bay Community College and the College of Public and Community Service, UMASS Boston. Georgia is a founding member of Financial Resources for Women and Children which provides funds and training for women in domestic violence shelters. Georgia has received many awards for her work at the Boston Food Bank, most notably the 1988 Channel 7 Thanksgiving award. She published a book on women advocates titled, Women in Citizen Advocacy: Stories of 28 Shapers of Public Policy, McFarland & Company, Inc., 1992. 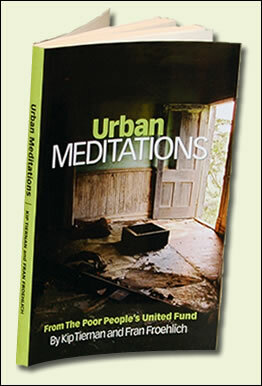 In 1992 Georgia joined Kip Tiernan and Fran Froehlich at the Poor People’s United Fund as Project Coordinator where she continues to work tirelessly with the PPUF member groups, chronicling their situations in the Misery Index and taking on special advocacy and research projects for food stamp and other welfare programs. Georgia is a founding member of the Ethical Policy Project.